Home / beauty / Dietary Supplement / Glutathione / Inc. / L-Glutathione Capsule / skin / skin care / Snow / Snow Caps / soap / Vida Nutriscience / Whitening / We Deserve a Whiter Christmas! We Deserve a Whiter Christmas! Summer will always be a favorite season of mine. No matter how crazy and broke I am, there's definitely one reason to enjoy this season. But as the sun starts to hide behind dark, thick clouds, reality bites - sun-burnt skin. To many dark-colored Filipinos like me, we are always striving to have a fairer skin. We all know that having that rosy white skin that our neighboring Asian countries have will be too much of a dream. Thank goodness, science made whitening or fairer skin more possible by having the right amount of Glutathione in our system. Also known as the ultimate antioxidant, which can also be found in plants, animals, fungi, and some bacteria, Glutathione serves as a protector to different cellular components caused by reactive oxygen species. For human, well, we produce our own Glutathione. It helps us obtain and manage optimal health and at the same time keeps our skin fairer and vibrant. But did you know that as we grow older, with the inclusion of pollution, stress, poor diet, medical malpractice and radiation, the Glutathione level in our body depletes, hence we need something to keep its balance for us to preserve the youthful, vibrant skin. I've been using a placenta soap for more than five years now, though I must admit that there are days that I think it's not working well on my skin, I still keep on using it in the hopes that it will work normally. But after a friend suggested that I should try Snow Skin Whitening Soap, the first few times that I used it works better on my skin. 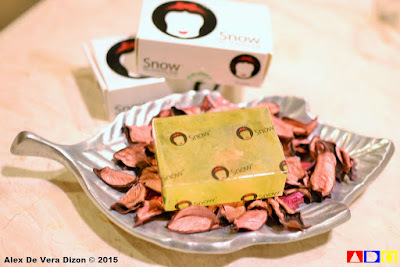 Snow Skin Whitening Soap, a product of Vida Nutriscience Inc., is a whitening soap enriched with natural skin lightening complex such as Gigawhite and the anti-oxidant complex, ACE-B3. It is perfect for treating your skin with the necessary energy and nutrients to ensure a radiant clear complexion and younger looking skin. Though, it is advised that usage is not good for kids 3 years of age and below, Snow Skin Whitening Soap will works nicely on the skin of tweens, teens and young adults who are undergoing the adolescence period. To use it, gently pour water on the part of your face of body. 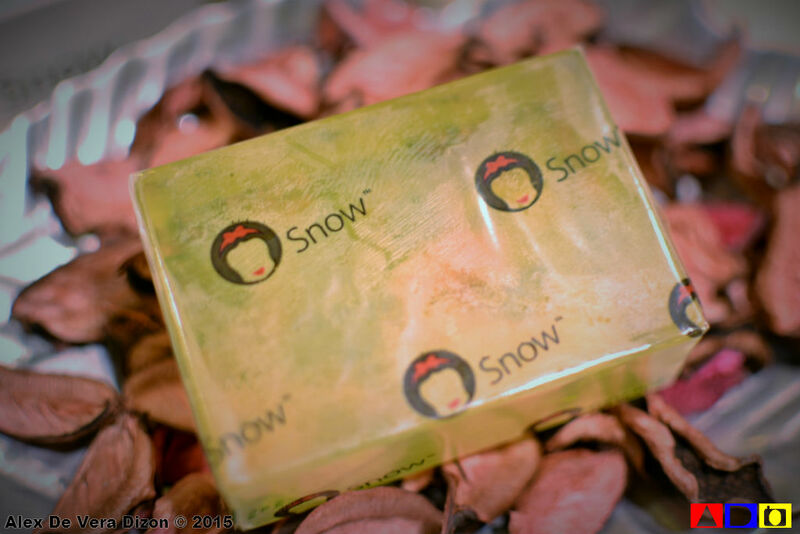 Apply the Snow Skin Whitening Soap as how you would normally use a regular soap. Then, leave on skin for 2-3 minutes before rinsing. It is suggested that you at least use Skin Whitening Soap more than two times a day for better and fast result. And also, keep it in a cool and dry place. 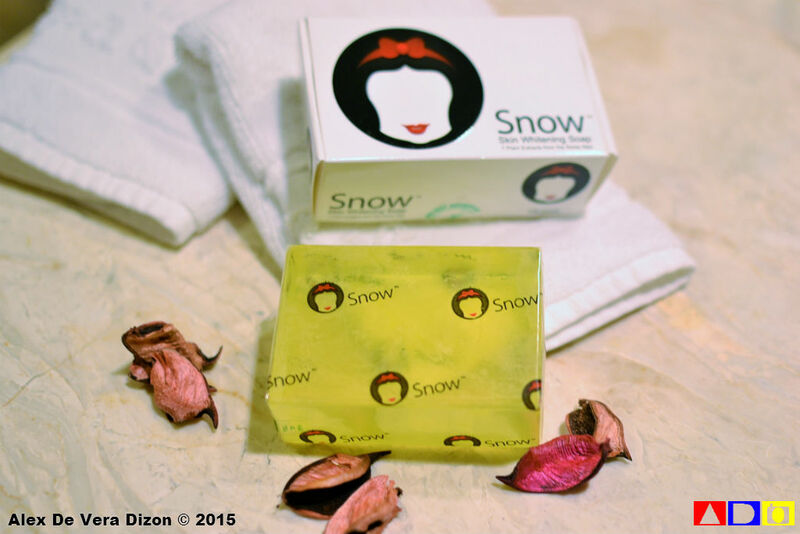 Right now, Snow Skin Whitening Soap is priced at Php 149.00 and is available at all Mercury Drugstores, Watsons, SouthStar Drugstores, Landmark Supermarket and LCC malls in the country. You can also visit their website www.vidanutriscience.com for online transaction. On the other hand, if you are into taking medicines or if you want a faster whitening result, Vida Nutriscience Inc.'s Snow Caps Dietary Supplement L-Glutathione Capsule might be the Glutathione supplement that you'll ever need. In taking Snow Caps Dietary Supplement L-Glutathione Capsule you're not only helping your skin gets it youthful glow but it also boost your immune function; gets you rid from free radicals and oxidative damage; acts as anti-inflammatory; a master antioxidant; detoxifies the brain and ensure heavy metal deposits; and helps your liver to become healthier and stronger. I'm very wary in taking in meds. In fact, I don't normally take any tablet even vitamins. So at first try of the Snow Caps Dietary Supplement L-Glutathione Capsule, it was a challenge, but when I noticed the goodness that it gives on my body and mind, I did;t mind taking one (1) capsule anymore. 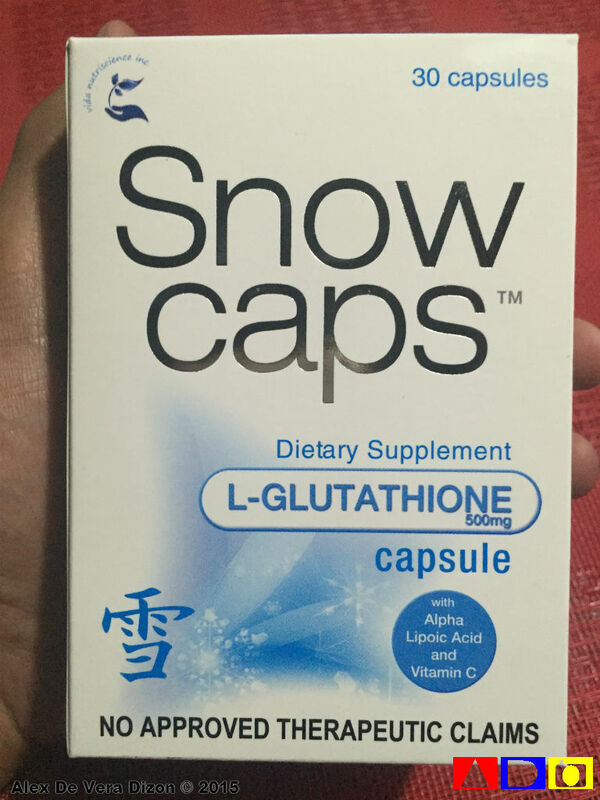 It is said that Snow Caps Dietary Supplement L-Glutathione Capsule with or without meal in the morning is okay because glutathione levels are lowest and oxidative stress is highest during daytime. Currently, Snow Caps Dietary Supplement L-Glutathione Capsule is sold for only Php 1,495.00 for a box of 30 capsules and currently available at Mercury Drugstores, SouthStar Drugstores, Watsons, Landmark Supermarket and LCC malls in the country. For those who wanna try these products, I suggest that you get them from the accredited store partners or from Vida Nutriscience, Inc. at www.vidanutriscience.com. For more info, you can also contact them at telephone number (632) 9279227, fax (632) 4553900, Info Text Hotline 0928-665-2646, email info@vidanutriscience.com or follow them on Facebook https://www.facebook.com/SnowGluta. This Christmas deserves some sweet white smile that goes well with our fairer, youthful and more beautiful skin. Advance happy Holidays, beautiful friends! Kala ko may free trial pack hahah!